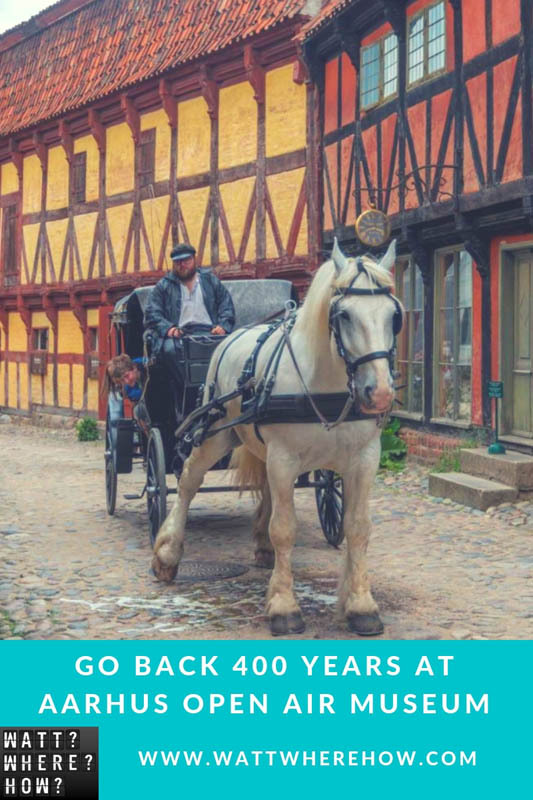 Going back 500 years at the Old Town Museum, Aarhus - WattWhereHow? 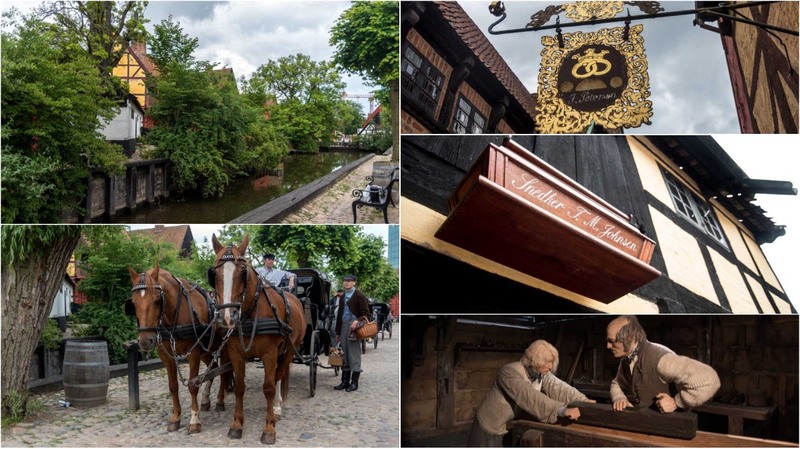 Aarhus’ Old Town Museum is Denmark’s largest and most impressive open-air museum, with over 75 buildings dating back to the 1550s. The collection brings together old barns and half-timbered mansions, bakeries to breweries from 20 different towns, brought to life with period furnishings and actors in traditional dress. The museum is laid out as a town, with the promise of being transported back to the time of Hans Christian Andersen. Rough hewn stone pavers, with the addition of light drizzle ensure we’re paying attention to our surroundings. Some of the cottages feature relics from the 80s (the 1980s) in the form of plaster-faced mannequins. Their addition makes it feel a little cheesy, whereas the further you get into the town, there are newer additions and innovations. 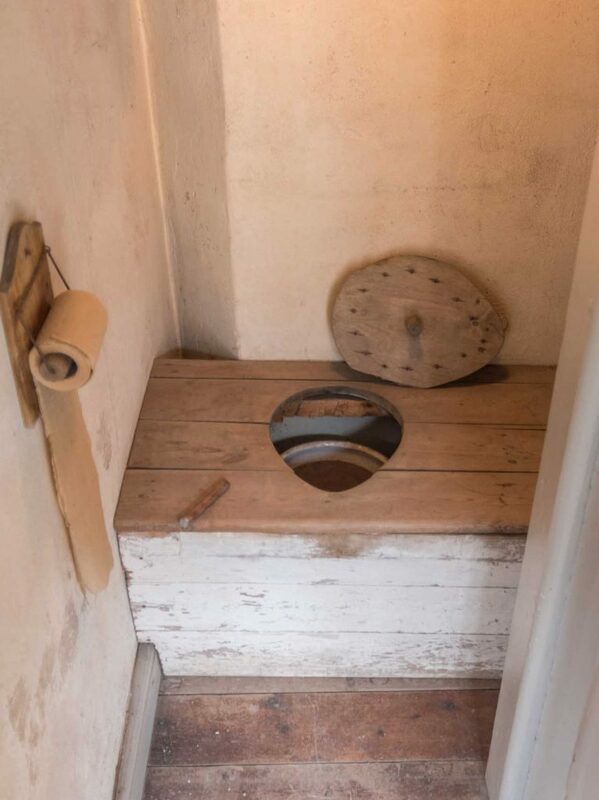 Typical of this is an ancient outhouse that uses farts and groans to add a little scatological humor to the experience. Toilet humor aside, the old town is an immersive experience. Locals dressed in 19th century garb lead horses and carts through the narrow lanes, while the bakery offers freshly cooked Danish pastries using recipes that date back to 1885. Some of the old wooden buildings still exude the aroma of burnt wood and at the tobacco barn, wreaths of tobacco hang drying in the humid breeze. Exploring each merchant’s villa, farmhouse and laneway offers little rewards. From knot gardens to blacksmith forges to village fairgrounds, the attention to detail is astounding. Running between buildings to avoid the ever-increasing rainfall, each doorway reveals a new surprise. One warehouse is the home of a clock museum, another is devoted to silverware and the largest houses a toy museum with over 6,000 toys. By far the most surreal, yet familiar section of the museum is a perfect reconstruction of a Danish town from 1974. Here you can go shopping at a radio and TV shop, rendered impeccably with a rack of cassette, vinyl and 8-tracks, black and white and color TVs and old stereos. Bizarrely there are the same speakers that were on the home system back in the 70s. All the prices reflect the original 1974 tags. To the back of the store is the manager’s desk and the repair shop. It’s full of original parts too. Incredible. Other storefronts include a gynecologist’s clinic, a camera shop, a gas station, a pastry shop and even a jazz club. Like the look of Aarhus? Pin it or share it! 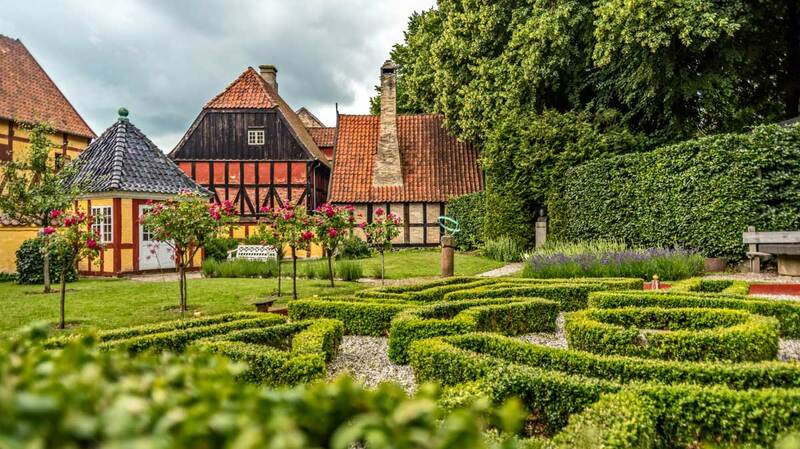 Aarhus Open Air Museum is a family-friendly way to explore Denmark’s past. Located in Denmark’s second largest city, it’s a highlight if you’re heading to the north of Jutland. Den Gamle By is open all year round, with it at its most picturesque in the heart of summer and depths of the winter snow. Admission prices differ based on season. Same. The Scandinavians do them really well. It’s really cool – particularly the part that recreates a 70s village. There were things that our family used to own!